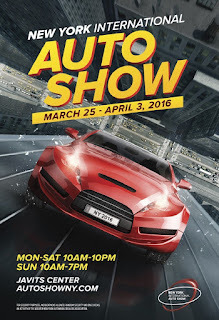 The New York International Automobile Show launched its new poster campaign for 2016. Inspired by New York City and the skyscrapers that make it instantly recognizable around the world, this year's artwork shows a powerful sports car driving up the side of one of the city's buildings, leaving the traffic far behind. This car, like the New York Auto Show, knows no bounds. 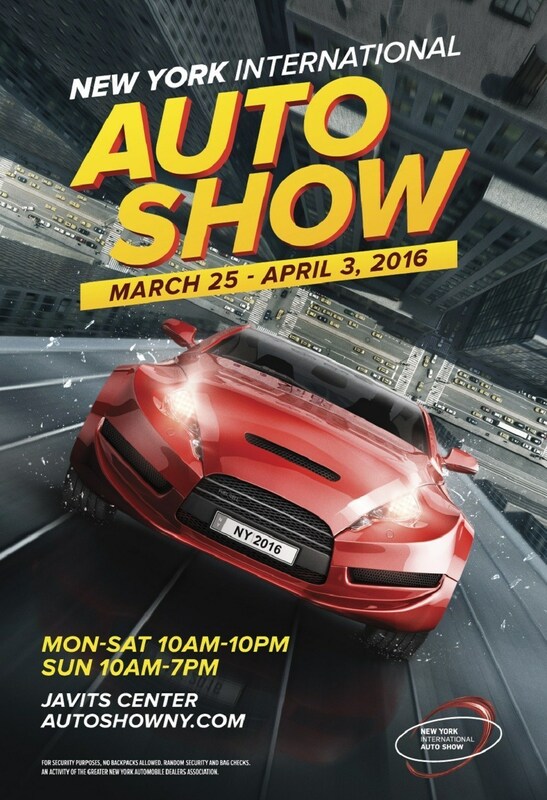 The iconic New York City event runs from March 25 to April 3 at the Jacob K. Javits Convention Center in Manhattan. "While the New York Auto Show is a serious venue for potential car buyers to research every new car under one roof, it is also a place of entertainment and fantasy. We think this year's poster art captures these element perfectly. The new poster sets the tone for New York City's number one ticketed public event by combining the power of the City, with its iconic skyline, and the power of the automobile in a way that excites and enthralls," Show Chairman John LaSorsa said. The attention-grabbing poster artwork is incorporated into every aspect of the Show advertising and marketing outreach program. It will be seen on metro area billboards, the New York City Subway, Long Island Rail Road, NY Waterway, and Metro-North Railroad. It is also the focal point of a comprehensive television, print, web and social media advertising campaign and will appear on tickets, t-shirts and grace the cover of the Show Program. The New York Auto Show is an awesome combination of new ideas, technological innovation, exceptional concept cars and nearly 1,000 of the latest new cars and trucks. Over one million visitors are expected to visit the show this year to see what is truly possible from the automotive industry. The Show is also one of the most important trade events in New York City producing over $300 million in economic development.